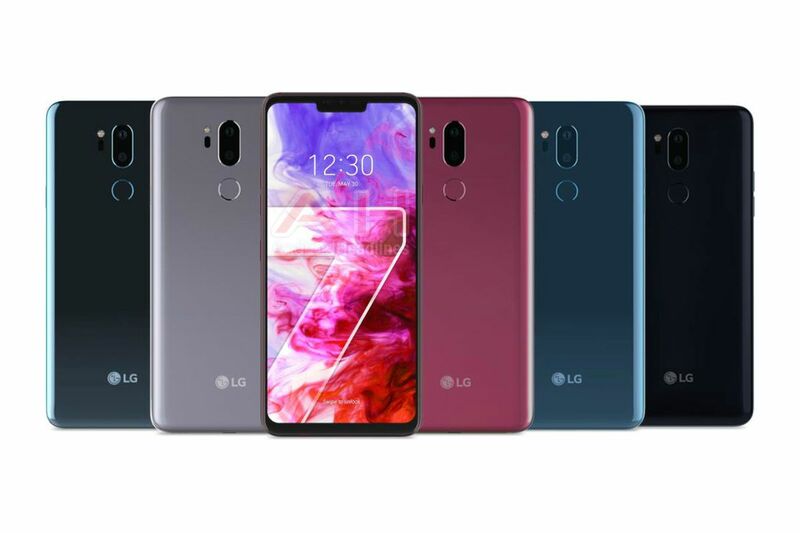 LG hasn’t exactly done a good job of keeping its next flagship phone a secret, with leaks revealing plenty of details about G7 ThinQ over the past couple months. Today, we’re getting what’s easily the cleanest, most straightforward look at the phone yet: a marketing image, leaked by AndroidHeadlines, that’s meant to show the G7’s front and back in all available colors. The phone will apparently come in five colors: red, black, gray, and two blue options, one of which will be matte, according to AndroidHeadlines. Otherwise, the image really just confirms what we already know. This phone will definitely have a notch at the top, and it seems to have an extra button on the left side, possibly to activate the phone’s AI features. The phone is supposed to be unveiled on May 2nd, so that means we still have about three more weeks of leaks to go. LG has been attaching the “ThinQ” branding to basically all of its new stuff this year, as a way to indicate that it comes with some amount of AI features. Its first ThinQ phone was the V30S, and its AI highlight was mostly limited to camera recognition features.